I don't know maybe you're right, but "arguably with precious few exceptions"? That's hardly arguable, there were lots of Christian intellectuals around before the Renaissance (Thomas Aquinas, Anselm). What's arguable is whether they were moderates in the way that the term is used today (and by that I just mean it would be interesting to discuss). What's hardly arguable is that there were precious few of them, at most. Anyways I'm pretty far out of my element here seeing as I don't really know Hitchen's argument. My impression is that he lists off atrocities and wars instigated by organized religion and comes to the conclusion then that God and theism are social ills and should be extinguished. If that's wrong, then sorry, but if it's right I think he's "throwing the baby out with the bathwater" so to speak. I haven't actually read much Hitchens, either. But if memory serves, Dawkins is of the opinion that the baby isn't even in the bathwater. Basically, that the good things attributed to religion either aren't good at all, or they aren't exclusive to religion (e.g. atheists can lead ethical, purposeful lives). Don't hold me to that, though. I might just be projecting. In case you were not aware. 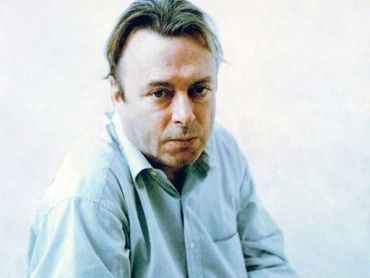 Christopher Hitchens has passed away 3 days ago. He is a terrible loss for all critical thinkers, humanists, moralists, and especially for atheists.